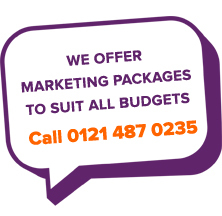 Main Marketing prides itself on quality and flexibility, and this is reflected by the fact that a high percentage of our campaigns are repeat business or by referral. We believe the more work that is put in ‘behind the scenes’ of a telemarketing campaign, the better the end result will be. We like to see ourselves as an extension of our clients, NOT just an external agency working autonomously. We are a very pro-active company and will give ideas on how to get the best results from the current campaign, as well as ideas for future campaigns. One of the best ways of achieving the above is by having loyalty from our workforce. We only employ permanent staff, which offers a better level of continuity for our clients. Our people are trained in Solution Selling methodology, FAB Selling, Open Question techniques and Objection Handling. Main Marketing’s primary objective is to supply our customers with the highest quality tailor-made solution available.